We judge how each player did individually in Ireland’s comprehensive win this evening. The Irish team line out for tonight's match. 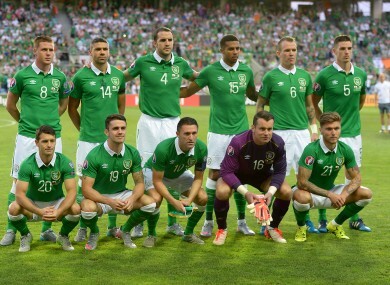 Email “Player ratings: How the Boys in Green fared against Gibraltar this evening”. Feedback on “Player ratings: How the Boys in Green fared against Gibraltar this evening”.